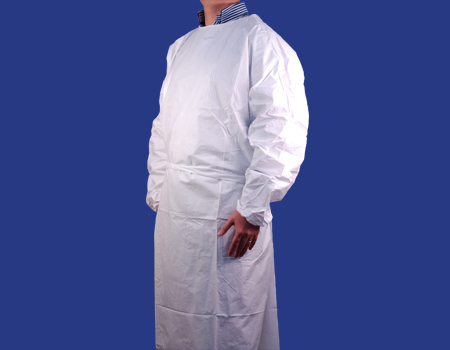 AirPlus® Breathable Gowns applies the latest AirPlus breathing technology to laminate unique micro porous film to premium spunbond non-woven material. Such composite ensures the perspiration to evaporate, meanwhile, works as a barrier against infectious agents. Therefore, it guarantees the wearer to be always protected and meanwhile, remain cool and comfortable. Multi - Layer construction to offer maximum protection. Laminated by micro porous film to offer extra breathability. Moisture vapour particles are much smaller in size than blood droplets and other fluids, viruses and bacteria. This gown combines comfort and impervious protection. 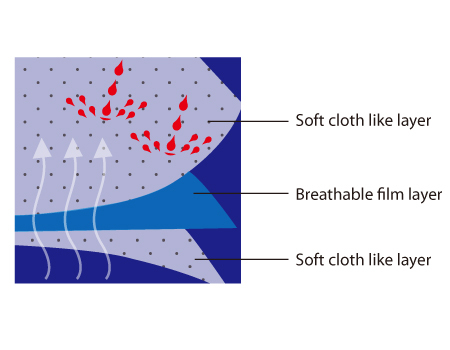 AirPlus gowns use our advanced fabric technology - a layer of strong, thin microporous breathable film between two soft, cloth-like fabric layers, to allow vapour to pass easily through while keeping you cool and providing protection from blood and body fluids.